With exponential growth in both sales and participation in the backcountry snowsports category in the past three seasons, more and more people and groups are venturing out into what was once restricted “out of bounds” on-snow terrain. Is it any wonder that more avalanche incidents are occurring? Season over season, the numbers continue to rise. To meet the demand, gear innovation and terrain openings continue to grow. Skiers, snowboarders, ice climbers and winter mountaineers, snowshoers and snowmobilers continue to head to the backcountry in droves, often without a clear sense of what will enable them to return home safely. It’s easier now than ever before to get everything you need to go off-piste without having to go through any type of training or education. Simply go online, watch a YouTube video, read a few articles and buy the gear recommended from your favorite online retail shop. But just like you wouldn’t buy a surfboard, watch a video on how to surf and go out to surf Mavericks when it’s double overhead – you shouldn’t enter the backcountry without an understanding and education. Enter The Avalanche Project. Originally established as Project Zero in 2010, this collaboration of avalanche forecast centers, industry brands, manufacturers, retailers and snow professionals was formed in response to the growing need for centralized messaging and resources as the backcountry segment exploded. 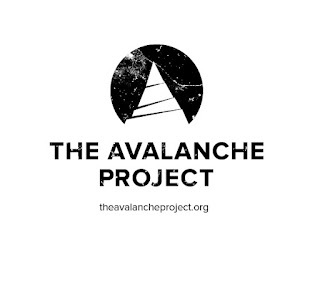 The goal of The Avalanche Project is to spread a culture of snow-based mountain safety and responsible recreation through collaborative action and cohesive messaging. That means all of us working together to help make this change and push toward safety and education across the board. It starts with brands like Mammut, who already have a strong sense of backcountry responsibility that they pass on to their customers, working with a variety of others to help us have a strong and impactful voice. Through cohesive messaging as well as athlete and marketing support that is relayed to the consumer, we can set a better precedent for what one needs to do to come home alive every time. Going even deeper, working with brands that speak directly to this audience gives us tools to get feedback and explore the most effective messaging and actions for all, as well as to explore the emotional and behavioral links behind professionals and well educated recreationalists having avalanche accidents. We look to brands like Mammut to be the leaders in this cultural movement and stand out amongst the many manufacturers producing backcountry-specific products as a company that invests in the safety of the greater backcountry community as much as it’s gear. We’re proud to be working toward better education and spreading the message of backcountry safety with the support of Mammut. Do your part – get educated, lead by example and support companies and brands alike that help our backcountry communities thrive.